Friday, March 7 saw 30 engaged students from Dalhousie’s Bachelor of Commerce and Bachelor of Management Programs take part in the Winter 2014 Halifax Corporate Tour. The tour was divided into two tours because of its popularity as a great career exploration opportunity. Eight local organizations representing different industries were visited over the course of the day. It was a fantastic experience for those students who took part in it. Tour One participants at CEED. All of the students met shortly after 8:00 am to get a briefing on the day’s activities. The early start was necessitated by the first visit scheduled at 9:00 am, but it didn’t put a hamper on anyone’s enthusiasm. 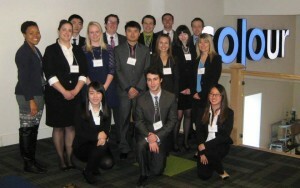 The eight organizations visited were CEED, Colour, Labatt, NTT Data, PwC, RBC, T4G, and TD Bank. The participants were impressed by the reception they received at each of the organizations. 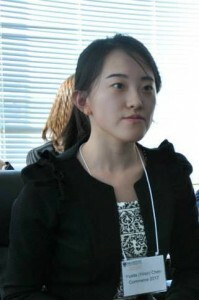 They were treated to networking and presentations by representatives from different positions within each organization. 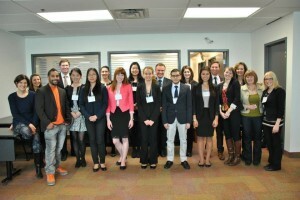 Representatives ranging from senior management, recruiters, front line employees, Dalhousie alumni, and in some cases, Dalhousie co-op students all took the time to meet with them. The hour and a half at each stop passed quickly, but it was great to get a taste of the culture, physical work environment, industry challenges, and varied career paths of the people they met. Tour Two participants at Colour. 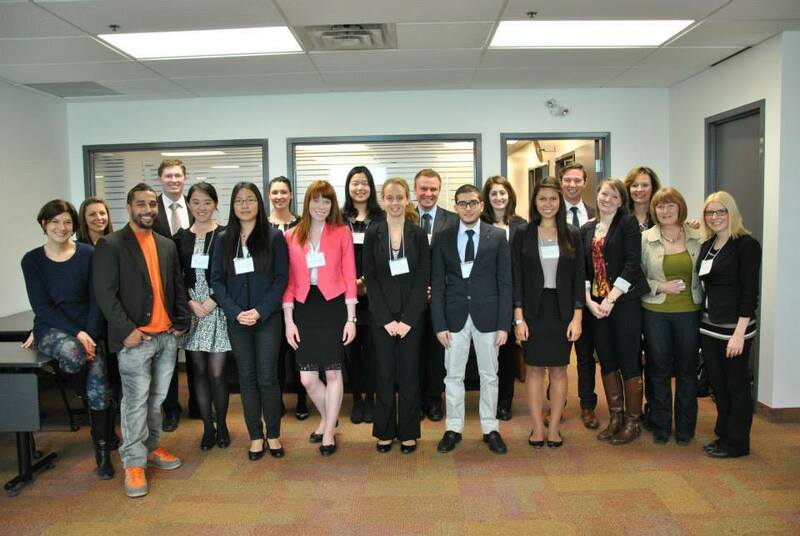 To discover more about the Halifax Corporate Tour student experience watch our You Tube video, and check out our Facebook album and search #HfxCorpTour on Twitter. 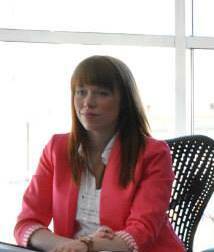 Interested in participating in a corporate tour? Registration for the Toronto Corporate Tour is open until 4:00 pm on Tuesday, March 18, and there are still spots for the Accounting and Marketing streams. For full details on the tour and registration, visit our website.